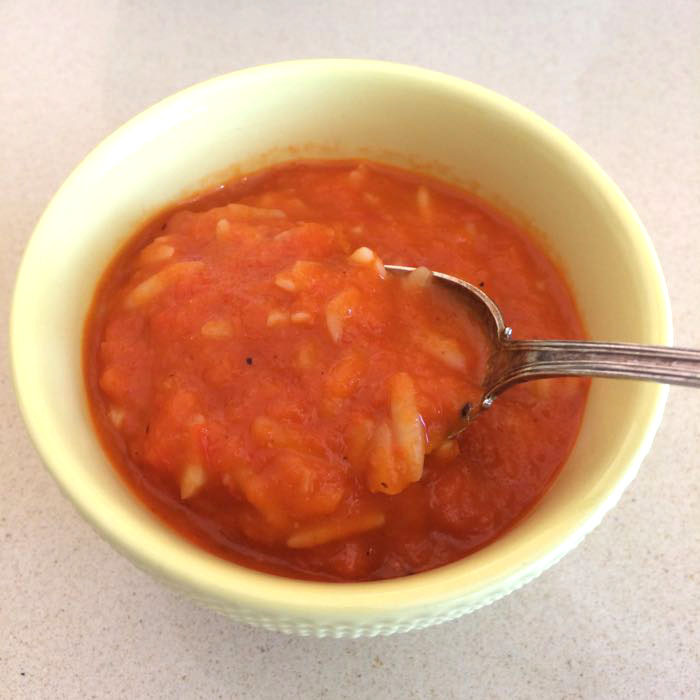 Think of this as a snappier version of tomato rice soup; the amount of pasta used here is just enough to temper the peppers’ bite. I have modified this recipe from one I found in the Washington Post. Serve with a loaf of Mary’s Retreat Bread. NOTE: Arizona Dreaming is my new go-to spice. Get yourself a jar. Peel and coarsely chop the shallot and garlic. 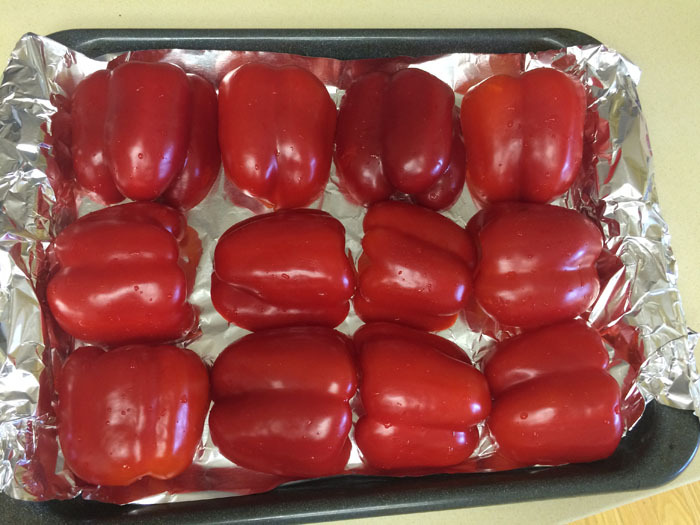 Prepare the red peppers by broiling the seeded, washed halves for 15 minutes under high broiler heat on a prepared pan (line with tin foil). 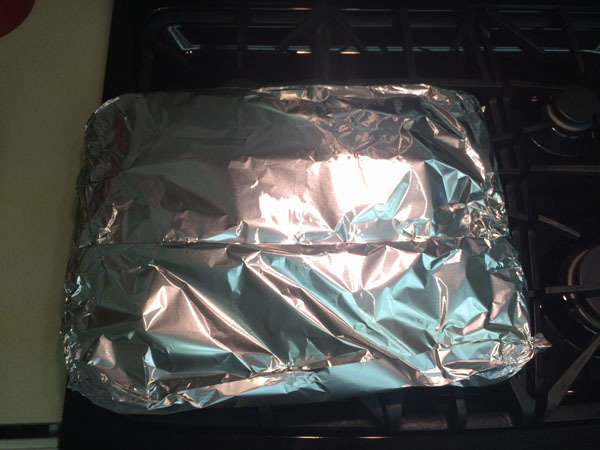 Wrap the whole pan in foil, and let the peppers cool while they continue to steam and melt into goodness, about 30 minutes. Alternatively, you could put them into a covered bowl, and go that route. Peel off the blackened skins and discard. Heat half of the oil in a medium saucepan over medium heat. Once the oil shimmers, stir in the shallot and garlic. Cook for 3 or 4 minutes, until just softened. Add the red peppers and broth; if your peppers weren’t soft after the broiling stage, let them cook a bit more in the hot broth until tender. Using a stick blender, puree the peppers/broth until smooth. 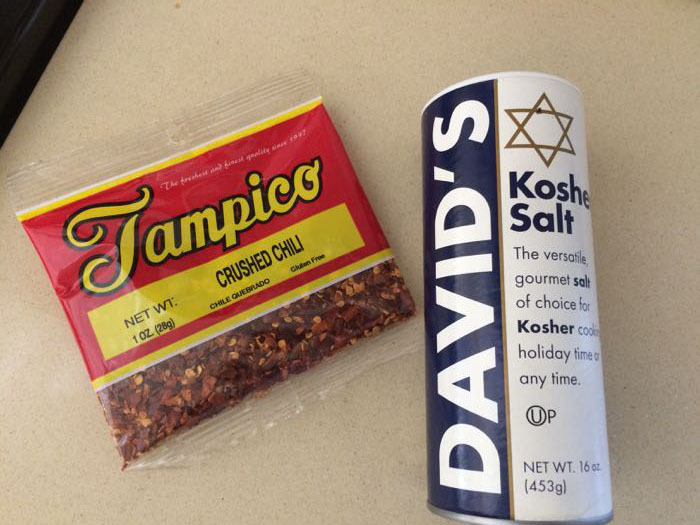 Add the spices listed above. Bring to a boil over medium-high heat, then stir in the orzo. 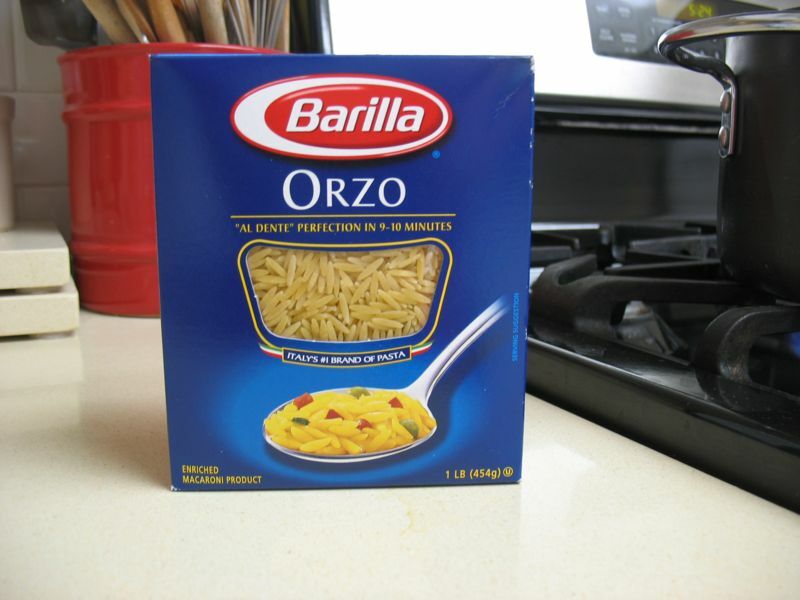 Cook for 7 to 9 minutes or until the orzo is tender and more visible in the pot, stirring often to keep it from sticking to the bottom. Add more broth, if needed. 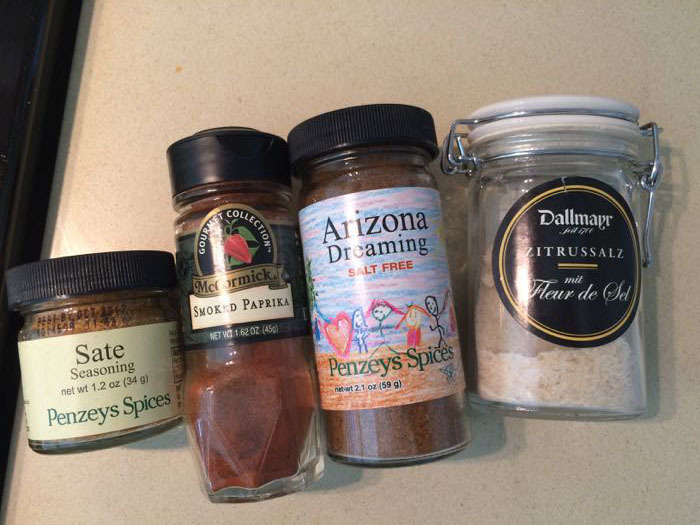 Taste, and adjust seasonings as needed, using spices listed above. You can also add a Tablespoon of lemon juice to pop things up, if needed. 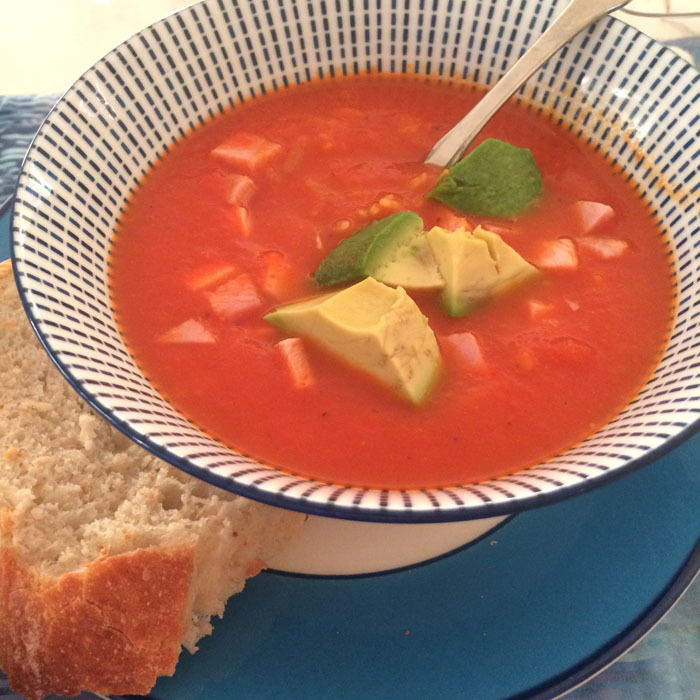 Also good with slices of avocado, if you like that sort of thing, or a really good sandwich. We also added cubes of cooked ham, a carryover from another meal. ***COOK’S NOTE: To make this quickly, use two jars of roasted red peppers from Trader Joe’s instead of roasting up your own peppers. 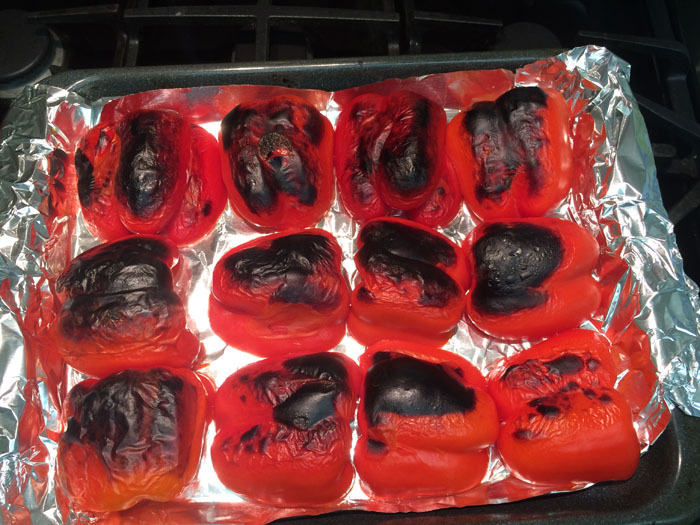 Drain, then use in the recipe instead of the home-done peppers.